Millie is one of my favorite shows and inspired me when I was a teenager yearning for Broadway. 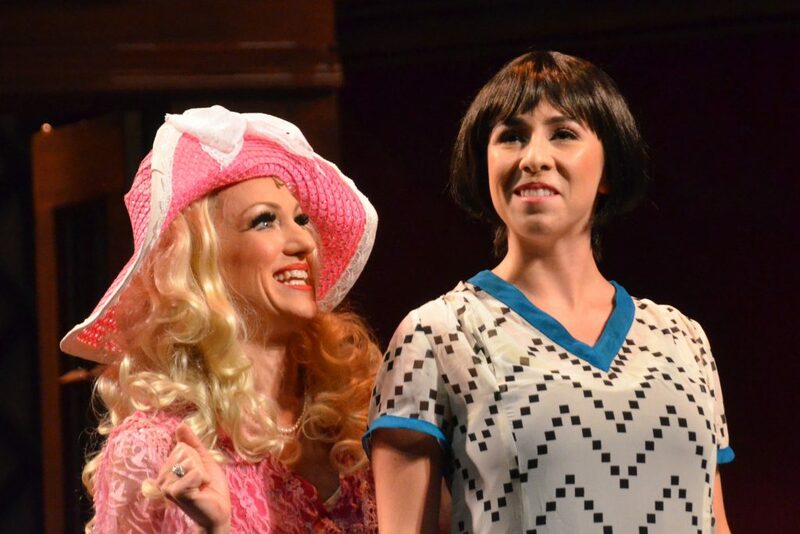 Based on the 1967 movie musical hit, Contra Costa Musical Theatre’s production is toe-tappingly enjoyable. 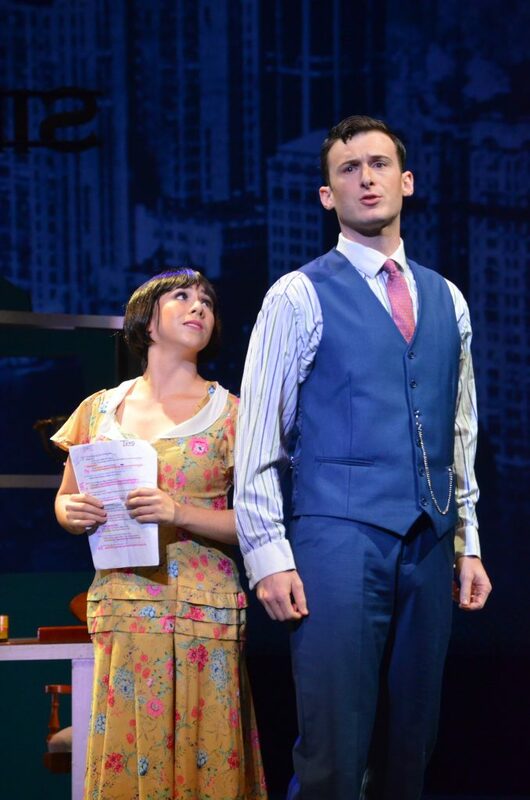 In 1922, Millie Dillmount (spunky Samantha Rose Cardenas) moves to the Big Apple from a small town, ready to take the world by storm. Defining herself as a “modern” woman, Millie has big dreams of finding a job and a husband, so she takes control of her own destiny. Stepping off the train, she immediately bobs her hair, puts on makeup and raises her hemline—ready for romance, adventure, jazz, and even some hooch. 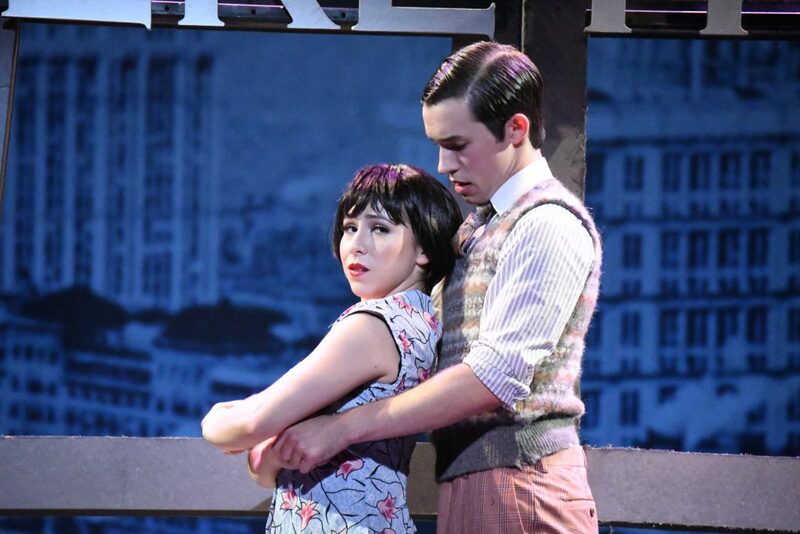 Impressively, Scenic Designer Kelly James Tighe uses black and white projections of 1920s Times Square and the Empire State Building to depict Millie’s fast-paced world. Tighe frames the stage in stunning bold black diagonals, creating a contemporary edge. Glowing bright colors are prominent in Lighting Designer Michael Oesch’s expert palette, shaping a sophisticated feeling. The syncopated orchestra plays composer Jeanine Tesori’s soaring, sing-able melodies with precise musicality. Some plot points are out-dated and inappropriate for today’s audience. Notably, the subplot of Caucasian character actress/mob boss Mrs. Meers (superb Laurie Strawn) impersonating a Chinese woman and selling orphans to “white slavery,” appropriates Asian culture and is generally offensive. A scene with sexual innuendos between Millie and her boss also does not fly in our post-Weinstein, #MeToo era. The ensemble’s infectious energy warms my heart, with over two dozen performers seeming like many more, all proudly displaying pearly white smiles. 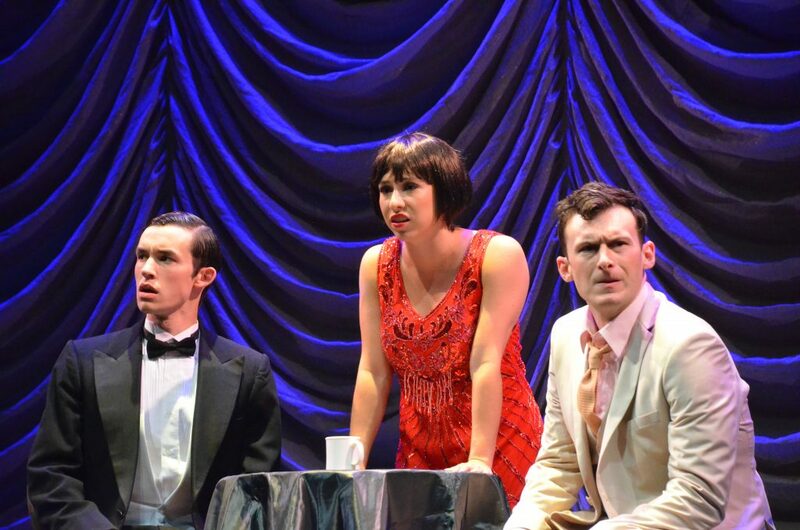 Bobbed wigs and dapper suits fill the stage with “chic, unique, and quite adorable” choreography by Staci Arriaga, featuring the Charleston and exciting tap dances. I love the moment when the stenographers, headed by Miss Flannery (hilarious Amanda Moore), use their tap shoes to create the sounds of a typewriter in the lively girl-power anthem “Forget About the Boy.” Other favorites include Millie’s best friend Miss Dorothy (adorable Tielle Baker Hough) and resident millionaire Muzzy Van Hossmere (radiant Melinda Meeng), both the epitome of elegance, boasting great singing voices. 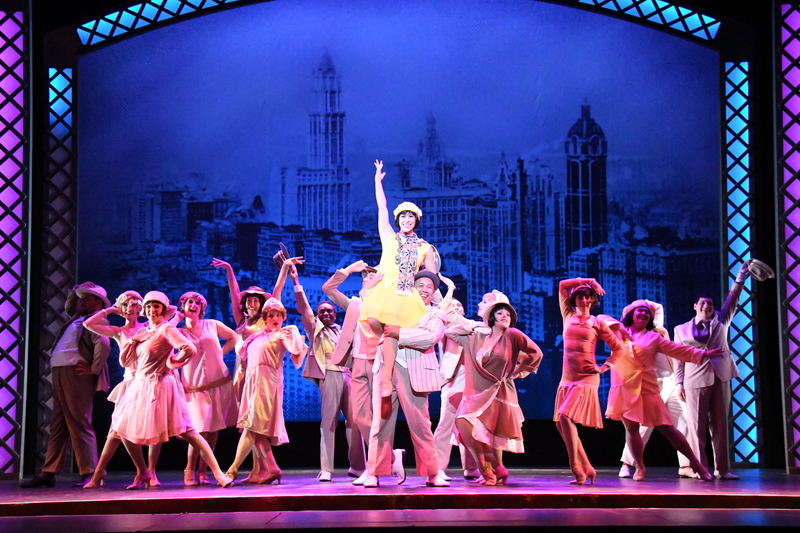 The audience giggles throughout, falling in love with “Thoroughly Modern Millie.” After 2 hours and 15 minutes, I want to revisit crazy, amazing New York City, be a successful career woman with smarts and savvy just like Millie, and fall head over heels in love with someone. I also need to take a tap class pronto. Polly Levi-Trumble, Kamren Maheney, Joshua Marx, Steven McCloud, Melinda Meeng, Amanda Moore, Brian Moore, R. Martin Newton, Leslie Sexton, Michael David Smith, Shelby Stewart, and Laurie Strawn.